Five LGBTQ athletes have qualified to compete in the 2018 Winter Olympics in PyeongChang, South Korea. Adam Rippon became the first out gay figure skater to earn a spot on the U.S. Olympic team. Rippon is already making a name for himself as an outspoken member of Team USA, criticizing the choice of anti-LGBTQ Vice President Mike Pence to lead the U.S. delegation. Freeskier Gus Kenworthy will also represent Team USA, qualifying for slopestyle. He appears unlikely to make the halfpipe team, which will be decided on Friday. This is Kenworthy’s second appearance at the Olympics, having won a silver medal in slopestyle in Russia. He was still closeted at that time, coming out as gay in 2015. 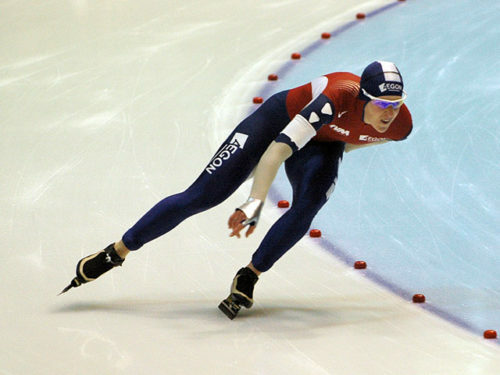 Bisexual speed skater Ireen Wüst of the Netherlands has qualified for her fourth Olympic games, and hopes to add three more gold medals to her collection. She already has four golds. 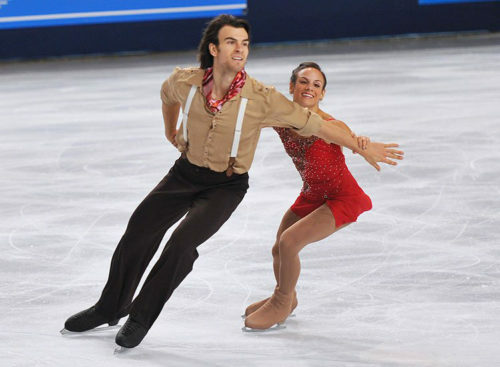 Canada’s Eric Radford, and figure skating partner Meagan Duhamel, will also hit the ice in South Korea. The pair recently won their seventh national title. Radford came out in 2014. Austria’s Daniela Iraschko-Stolz will represent her nation as a ski jumper. She won a silver medal in Russia, and despite coming off an injury is a favorite to win the gold this year. She married her partner in 2013. Congratulations to all these out and proud athletes going for the gold!